Next-Port is a third-generation produce distribution company with over a century of experience and expertise specializing in shipping high-quality fresh fruits, vegetables and other perishable foods to the Caribbean and South & Central America. Williams Electric Co., Inc., a control system integrator, specializes in the design, installation, and maintenance of monitor and control systems for government and commercial customers. The company offers project management, design/build, design engineering, installation, training, maintenance, and cross platform integration services. 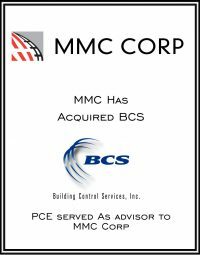 Founded in 1932, MMC Corp is based in Overland Park, Kansas, and operates as a national commercial construction services company with three core brands: MW Builders, MMC Contractors, and Countywide Mechanical Systems. MMC Corp is a 100% employee-owned organization with 1,200 employees nationwide. Design Display Group is an innovator in merchandising design and display branding. Since entering the marketplace over 25 years ago, DDG has led the manufacturing display industry with more DOT (Design of the Times) awards than any other company. LMG, LLC is a national provider of video, audio, and lighting support. The company was founded in 1984 by Les Goldberg. LMG, Inc. is divided into three divisions: LMG Show Technology, LMG Systems Integration, and LMG Touring. It is a subsidiary of Entertainment Technology Partners, LLC. Founded in 1937 by Alexander F. Zak, Zak Incorporated was originally established as a job shop to serve the local textile industry in Troy, NY. Through over 75 years of development and growth, Zak Incorporated has expanded to become one of the Northeast’s premier contract manufacturers. With the same commitment to customer satisfaction through teamwork, dedication, and pride, Zak Incorporated now primarily serves the power generation industry, the oil & gas industry, and the specialty melting industry.